Tag Archives for " Guy Kawasaki "
Officially a startup is any business just getting started but over the last few years the term startup has come to mean a certain kind of business just getting started or perhaps even a certain mindset no matter how old the business is. Personally I lean towards the latter. Startup is more of a mindset than a timeframe and that can be a good thing and a bad thing. Many startup businesses never graduate to become real businesses because what it took to start is not what it took to grow and mature. 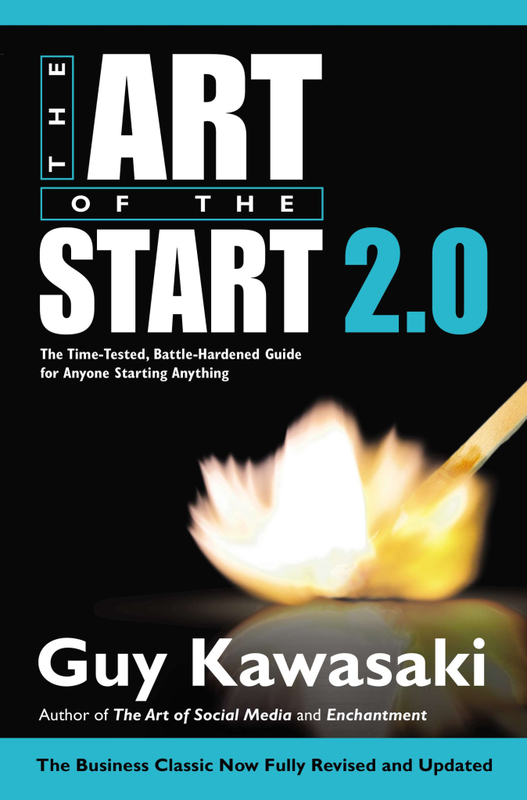 My guest for this week’s episode of the Duct Tape Marketing Podcast is Guy Kawasaki, Chief Evangelist of Canva and author of the new book The Art of the Start 2.0, The Time-Tested, Battle-Hardened Guide for Anyone Starting Anything. In a testament to either my advancing age or strident consistency, I had Guy on this show over a decade ago when Art of the Start 1.0 came out. Much has changed in the last 10 years and much has remained the same. In a note that struck me personally Guy claims that the hardest part of starting a business is learning how to lead and inspire others and I certainly concur. By nature the very strengths the serve them getting started – things like tenacity, ingenuity and constant innovation (sometimes manifest as the idea of the week) are the things that sink them when they need to let go. 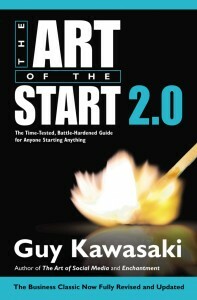 Guy is always a fun interview and The Art of the Start 2.0 is a must read of any – yes any – business owners or wannabe business owner. How do you make a pitch to potential investors? How do you effectively build a team? Somewhat predictably answers fell into two camps – those with a book said yes it was very helpful and meaningful to their business. 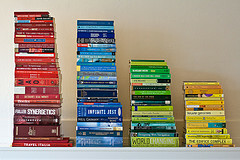 Those without a book said no they didn’t think it was necessary and that a well written blog might be more important. In my business having a book (and now three) made a significant difference in terms of creating more speaking, branding and consulting opportunities. Now, a key measure in the equation is that these books are well regarded and sold well enough to stand on their own – but there’s no question my books have led to a bigger brand for Duct Tape Marketing. Kawasaki has written twelve books, including the just released APE: Author, Publisher, Entrepreneur – How to Publish a Book. 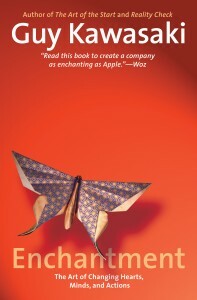 Kawasaki wrote the book to reveal everything he’s learned along the way as an author and entrepreneur with the added lessons gained from publishing his last two books without the aid of the traditional publishing machine. APE is meant to introduce the concept of “artisinal publishing” as a powerful avenue for anyone wishing to get their message heard in the form of a book much like an artist practicing and promoting their craft might do. As someone that’s written several books I can tell you that if you have a desire to write a book, but have no desire to publish on your own, the section on writing a book is worth the money. If you do plan to write and publish your own work the guidance on the very specific elements of editing, formatting and submitting digital books is a gold mine. I do believe that we have come to a point where honing and communicating a specific point of view is an essential practice in the worlds of coaching, consulting and marketing and a book is one format to do so. More importantly perhaps is that you practice your craft in a way that allows you to gain the experience and insight needed to construct a point of view worth sharing – do that and you’re on your way to writing that book. 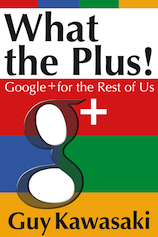 Depending upon who you listen to, Google+ is either the Holy Grail of social networks or another passing fade, but make no mistake, Google is Google and Google thinks this is important. So, even if you’re still waiting for some sort of critical mass from your industry to join Google+, you can’t ignore the fact that Google is starting to weight its search engine results with content from Google+. What I really like about Guy’s book is that it is filled with tons of very practical little tips gleaned from using the network on a daily basis. Beginners and more advanced users alike will get plenty from reading this book. For example, I picked up a much better way to use Google Hangouts and a totally clever way to run your own polls on Google+. This summary of an article from the December issue of the Journal of Advertising Research (good luck finding the issue online because I couldn’t) says that common word-of-mouth advertising by regular folks is more powerful than “key influencers.” Which is to say that sucking up to A-list bloggers may not be all that it’s cracked up to be. It seems like it’s bad day for celebrity endorsements . I agree. I think that most key influencers are pompous, insecure jerks who take themselves way too seriously. And I say this knowing that you can rightfully accuse me of being one of them. The marketing lesson is this: Create something great, sow fields (not window boxes), “let a hundred flowers blossom,” and pray that “regular folks” will spread the word. 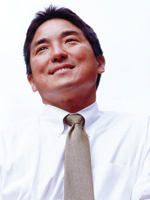 Guy Kawasaki is a managing director of Garage Technology Ventures, an early-stage venture capital firm. Previously, he was an Apple Fellow at Apple Computer, Inc. Guy is the author of nine books including Reality Check, The Art of the Start, Rules for Revolutionaries, How to Drive Your Competition Crazy, Selling the Dream, and The Macintosh Way. 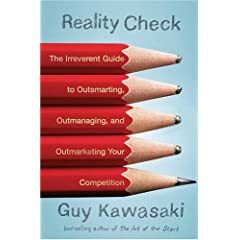 Guy Kawasaki stopped by the Duct Tape Marketing Podcast to discuss his newest book Reality Check: The Irreverent Guide to Outsmarting, Outmanaging, and Outmarketing Your Competition. Reality Check is a compilation of some of Guy’s greatest hits, posts and articles, but it is not simply a rehashing. This format brings his down to earth style into much greater overall context. When you read one of Guy’s blog posts you get his thoughts at that moment, but a collection of his posts framed in a category, makes for a much more strategic read. The thing I love the most about his book is that you can plop it open to any page and just start reading. You don’t have to read it cover to cover, every single page seems to hold a nugget of great, or at least amusing, advice. Some of Guy’s gems include the 10,20,30 rule of presentations – no more than 10 slides, delivered in 20 minutes, no type smaller than 30 point. Or, sales fixing everything – get selling and worry about creating the sock puppets when you have cash flow. Go check it out! Join Guy Kawasaki, author of Reality Check and Penelope Trunk, Boston Globe columnist and author of Brazen Careerist as we talk about whatever comes out Guy’s mouth! Seriously, you need to read Reality Check and get in the right frame of mind and maybe some tough love in order to grow and business. Sign-up here – and join us at 3pm EST today. Before you blog, before you create a social media strategy of any sort, you need to listen. By listen I mean tune into the truckloads of relevant industry content that’s being put out there, filtered and aggregated for your review. If you’re going to do that you want to start by following some of the top blogs that pertain to your industry. Alltop is a site that aggregates only the top (I know, that’s a bit subjective) blog posts from around the Internet and puts them in one place for you. They started out with some of the most natural categories such as marketing and small business but recently grew to add just about any category you might want to research – adoption to yoga. This is a great pit stop on your way to tuning in, networking, getting smarter and discovering your own social media play.